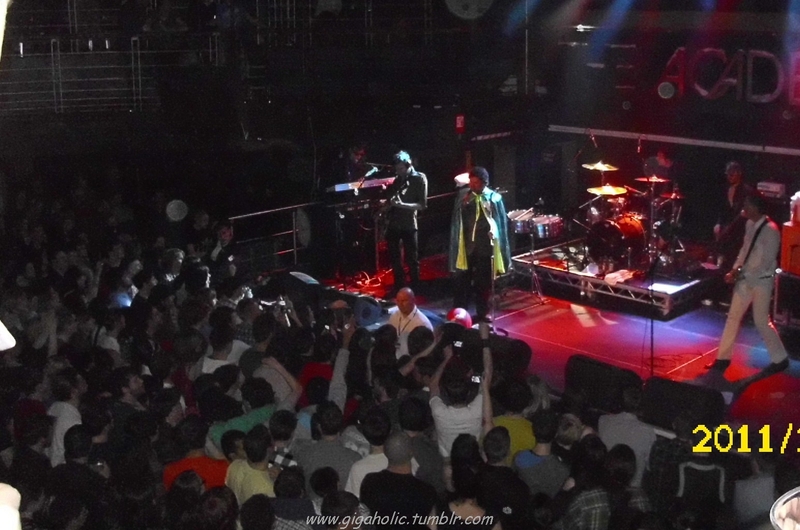 # 25 – This gig was a nice present – quite literally. I was given tickets to see Electric Six by KC from Today FM (thanks KC!) and was hugely impressed. From very fetching daddy dancing to press ups on stage via random “Irish” stories, their set was just brilliant and I was quite ashamed to admit to myself that I really only knew “High Voltage”! This has since been rectified and I’ve added more of their material to my playlist!